Tags are a flexible way to classify files based on terms that you define. 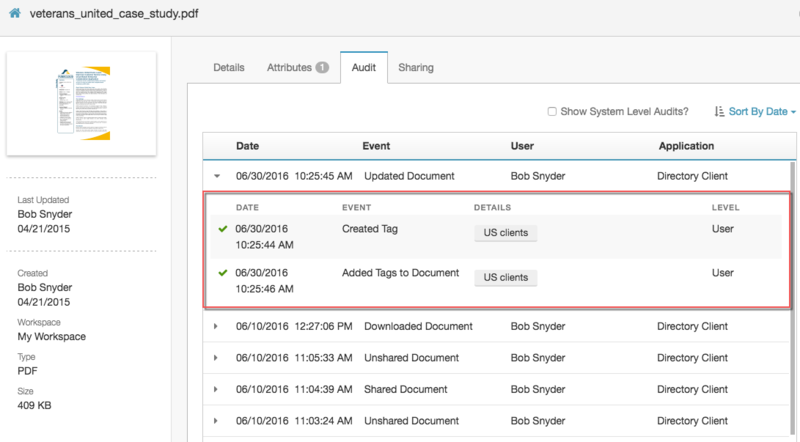 Tags help you quickly locate files in Documents. You can assign multiple tags to each file. To expand the section, click a link. Click the link again to collapse the section. You can view tags when you search for a file in a workspace. 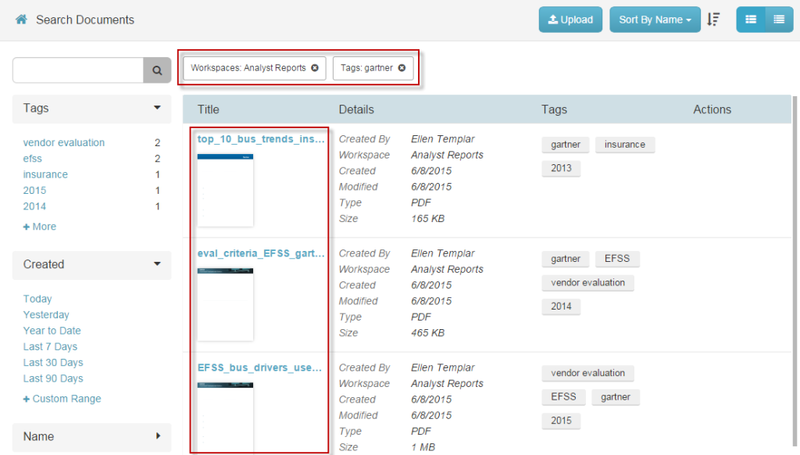 You can see who has assigned tags when you view the audit trail for a file. The following example shows suggested tags for analyst reports about US car insurance ratings. The following images show how you can organize documents using tags or folders. 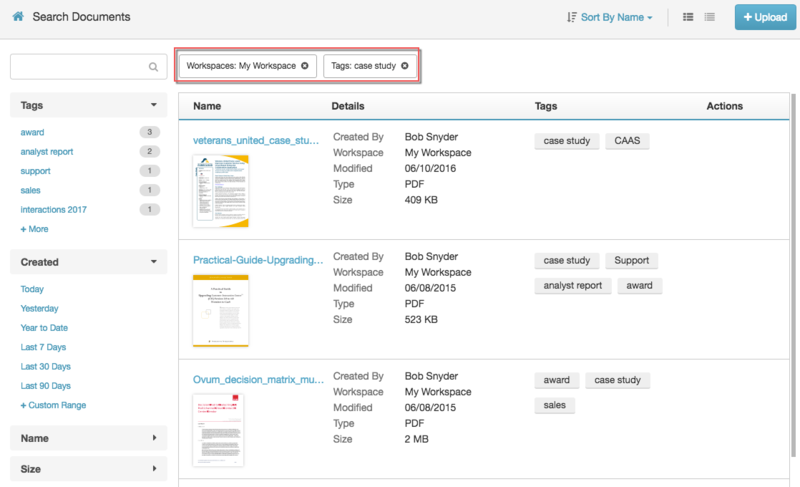 The Marketing—Analyst Reports workspace includes several files that have the Gartner tag. In this folder system, the nested folders Marketing > Analyst Reports > Gartner organize the same documents. Consider how you and your team search for files. Use keywords that describe both the contents and purpose. 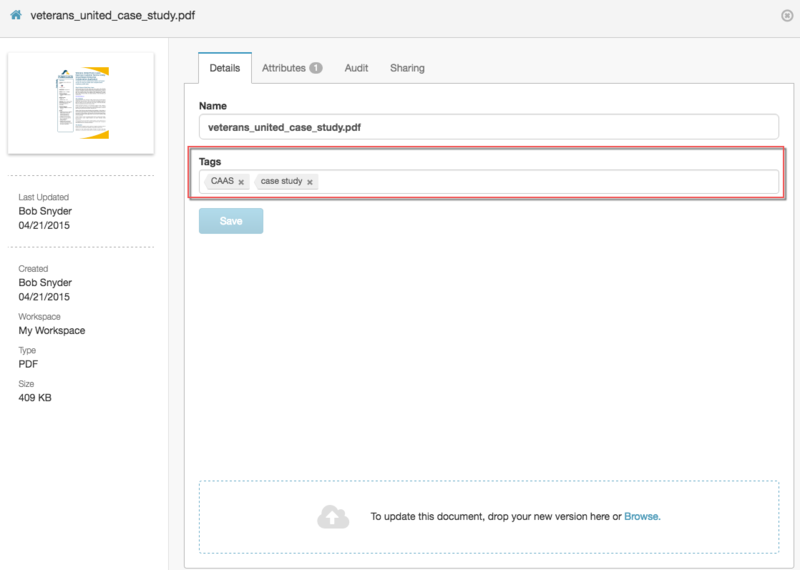 Create tags that represent both general and specific aspects of the files. Be flexible. There are many ways to think about files and there is no limit to the number of tags you can use. 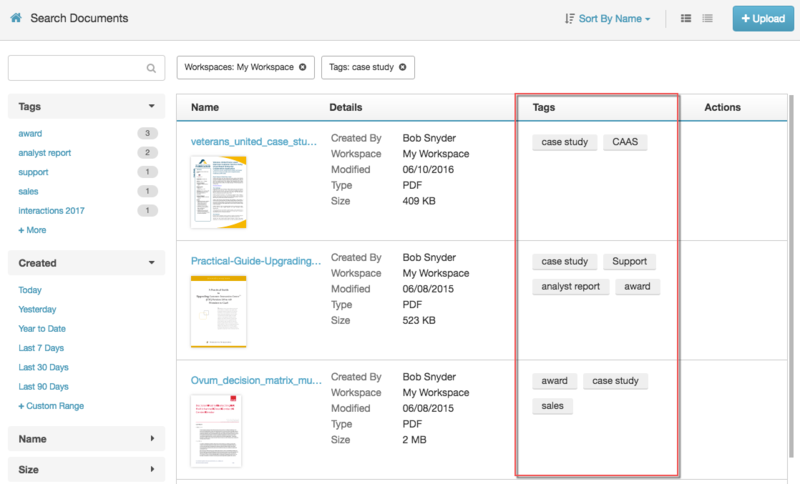 Consider designing your tag strategy offline before building it in PureCloud. This strategy allows you to see where you have enough tags and where more would be beneficial.